Charlene Kalia is a devoted and driven real estate expert who is dedicated to providing her clients with unparalleled service and professionalism in their home buying and selling experiences. 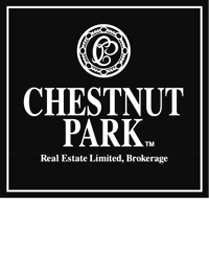 She has worked tirelessly to become one of Toronto’s top-producing realtors, and with over twenty years of sales and marketing experience with some of Ontario’s most prestigious companies and numerous Chestnut Park sales awards to her credit, she knows what it takes to make property move in Toronto’s competitive marketplace. The daughter of a real estate agent herself, Charlene is happily married with two children at very different stages of life—one university-aged and one in elementary school—who have grown up in the Davisville and Leaside areas. She has developed a broad and diverse network of contacts and is well aware of the challenges a family faces when listing or purchasing a home. This unique insight, along with her extensive field experience and her global reach, make Charlene well suited to address a vast array of real estate needs, from buying a first home to upgrading, to relocating internationally, to downsizing. Charlene takes pride in the fact that the majority of her business is referral-based. The relationships she forms with her clients go beyond traditional client-agent interactions as she assumes the role of trusted advisor and advocate. She is a skilled negotiator who is motivated by a passion for helping people. Clients’ testimonials demonstrate their appreciation for her expertise, her thoroughness, her experienced team of professional contacts (ranging from painters and designers to inspectors and legal counsel), and her extraordinary commitment to understanding and fulfilling their real estate needs. Charlene brings that same tremendous energy and enthusiasm to her personal life, finding time to cook, travel, and exercise; and to her role as a community member and volunteer, hosting community events, supporting local schools, businesses, charities and neighbourhood initiatives, and serving as board member and chief fundraiser for the Leaside Arena expansion project. Charlene attributes the success of her real estate business to a sincere love for her profession, to the fantastic people she continually encounters in her business, to the unfailing support of her wonderful family, and to her belief that you get out what you put in. In life and in work, she refuses to take shortcuts in her ongoing pursuit of excellence.